Elevate your park playtime (literally) with the Dynastar Swirly Skis for women. This intermediate/advanced-level park and pipe ski has major fun under the hood and promotes big airborne sessions with some snap-happy attitude. The twin-tip design allows for front and back landings and the light and maneuverable construction with camber rocker pushes off lips with pop and soars for big air. The adapted sidecuts enable generous rotations with good swing weight for getting, well, rather swirly. Wood-core composition makes for a durable and responsive ski. The sweet graphics stamp some nice punctuation on these fun-loving planks. Works pretty good as an all-mountain ski, too, but these babies were born for park play. 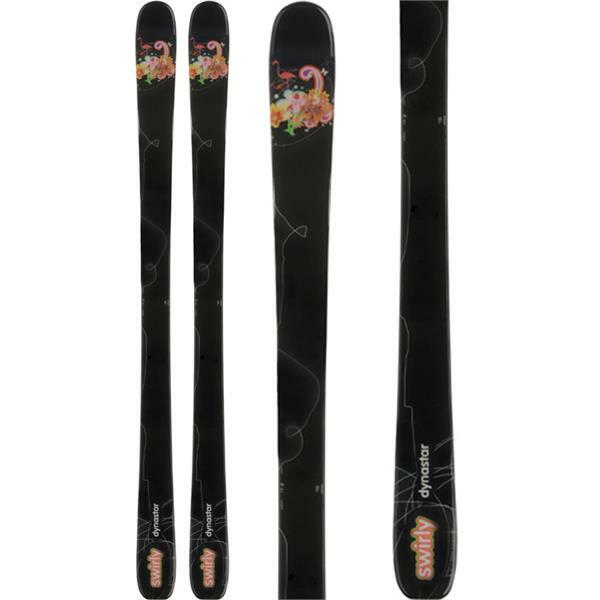 These are classic Dynastar skis from the 2010 model year. 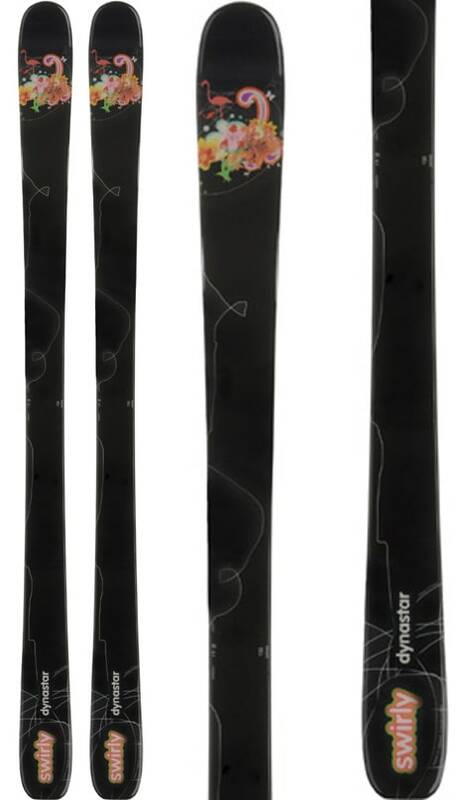 Does anyone know how "forgiving" this ski (Dynastar Swirly) is? This Dynasty ski is a little more advanced, a little stiffer, and a little less forgiving.